Recently, the African Development Bank (AfDB) released a report, which revealed that a significant decline in Africa’s poverty will require the continent’s gross domestic product (GDP) to grow at an overall average of seven per cent. In order to achieve this goal, experts believe it is of paramount importance that Africa’s international trade continues and strengthens its current development. To do this, analysts contended that Africa must make effective use of its oceans and seas. Oceans, seas and coastal areas form an integrated and essential component of the earth’s ecosystem and are critical to sustainable development. They cover more than two-thirds of the earth’s surface and contain 97 per cent of the planet’s water. Oceans contribute to poverty eradication by creating sustainable livelihoods and decent work. 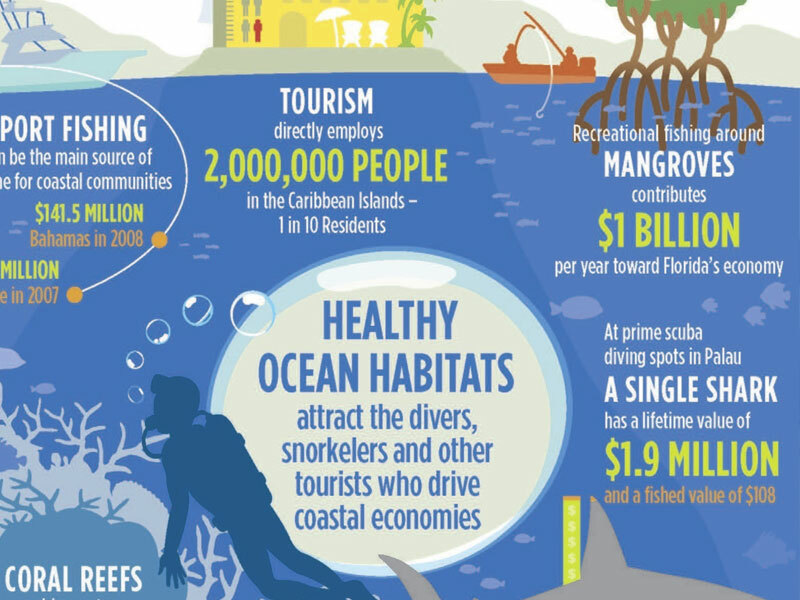 Over three billion people depend on marine and coastal resources for their livelihoods. In addition, oceans are crucial for global food security and human health. They are also the primary regulator of the global climate, an important sink for greenhouse gases and they provide us with water and the oxygen we breathe. Finally, oceans host huge reservoirs of biodiversity. In order for oceans, seas and marine resources to successfully contribute to human well-being, ecosystem integrity, with properly functioning biogeochemical and physical processes, is required. This does not require unperturbed systems, but systems that have not suffered serious or irreversible harm. Ecosystem integrity allows for the provision of so-called supporting ecosystem services which, in turn, are the bases of important regulating, provisioning and cultural ecosystem services that are of crucial importance for humans. Whereas the benefits provided by oceans, seas and marine resources are important to all people, the poor, indigenous peoples, and vulnerable groups with a high dependency on natural resources and ecosystem services may have their well-being especially tied to these benefits. The link between oceans, seas and marine resources and human well-being is not one-sided. While an increase in human well-being is frequently generated at the cost of ecosystem integrity, it can also potentially reduce the negative anthropocentric impacts on the marine environment, for example due to a more sustainable use of resources, changes in production and consumption patterns and improved management and control of human activities. In order for this to happen, good governance and an enabling environment are however required. Meanwhile, Africa now seem ready to do what is necessary to take advantage of its vats ocean resource to create a sustainable blue economy for the wellbeing of its peoples. Last week, African leaders assured stakeholders of the development of the blue economy as a veritable strategy for advancing African economies and lifting the people out of poverty. The leaders made the pledge at the first global conference on sustainable blue economy in Nairobi Kenya. Speaking at the conference, the Chairman of the African Union (AU), President Paul Kigame of Rwanda, said the union was committed to the growth of the blue economy in the continent. Kigame said member-states had shown commitment towards sustainable use of the ocean and AU would continue to formulate policies that would engender the development of Africa’s ocean economy. On her part, the Prime Minister of Namibia, Saara Kuugongelwa said the Namibian government was committed to developing an integrated blue economy policy geared towards protecting the marine environment of the Southern African country. Kuugongelwa said Namibia had a special fisheries observers’ institution, which puts the country among the leaders in sustainable fisheries management. She disclosed that in the next 12 months, Namibia would be investing a minimum of $5 million towards marine research, on purpose to advance economic inclusivity. In his remarks, President of Seychelles Danny Faure, who was appointed to serve as the AU Champion of Blue Economy, said in his own capacity he would get more women to serve on the blue economy regime. This, he said, would ensure that the campaign for the blue economy remained all-inclusive. He also said his country would work on establishing a pan African shipping line. Also in attendance was the newly re-elected Secretary-General of the International Maritime Organisation (IMO), Kitack Lim, the Canadian Minister of Oceans and Fisheries, Honourable Jonathan Wilkinson, and several other notable world maritime stakeholders. The inaugural sustainable blue economy conference has over 15,000 participants from around the world. They are gathered to discuss how to build a blue economy that harnesses the potentials of oceans, seas, lakes and rivers to improve the lives of people, particularly those in developing countries. 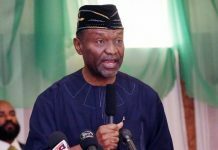 Also, at the conference, the Federal Government of Nigeria expressed its readiness to cooperate with sister countries and development bodies to advance Africa’s prosperity through the safe and sustainable use of the continent’s vast sea and ocean resources. The Minister of Transportation, Rotimi Amaechi, made this known in his speech at the first sustainable blue economy conference. Amaechi, who conveyed Nigeria’s statement of commitment to the blue economy initiative, said its growth was the most viable option for Africa’s development in the wake of declining mineral and commodity prices. He said the high level participation in the conference demonstrated the importance African countries attached to the blue economy and their resolve to use the resources of the seas and oceans to accelerate economic growth and reduce poverty to its barest minimum. The minister, who was represented by the Director-General of the Nigerian Maritime Administration and Safety Agency (NIMASA) and Chairman of the Association of African Maritime Administrations (AAMA), Dr. Dakuku Peterside, stated: “As a country we are conscious of our responsibilities and international obligations which have given rise to our endorsement and domestication of key International Maritime Organisation (IMO) and other important African Union continental instruments. Amaechi highlighted steps taken by the federal government to mainstream the blue economy concept into its Economic Recovery and Growth Plan (ERGP) to include formulation of a draft National Transport Policy, which is awaiting approval of the Federal Executive Council. The policy, according to him, will provide the platform to implement at the country level the framework for the protection and sustainable exploitation of Africa’s maritime domain. 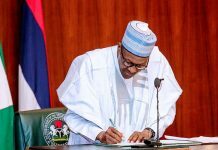 “The government has also constituted a high-powered committee, coordinated by the Federal Ministry of Transportation, to formulate and map out a roadmap to align the Blue Economy regime with the country’s ERGP,” Amaechi said. Other steps include the drafting of a dedicated anti-piracy bill, which is before the National Assembly, to provide the requisite framework for the fight, prosecution and punishment of piracy and other related crimes in Nigeria and the Gulf of Guinea, and approval for the acquisition of intelligence gathering maritime domain awareness assets and military response assets to fight pirates and make Nigeria’s maritime domain safe for economic activities. Amaechi said the federal government was investing heavily in the development of new infrastructure, such as deep sea ports and intermodal transport, to drive growth in the maritime sector. “All of these actions underscore the importance our government has placed on the Blue Economy Concept,” he said. Amaechi hoped that the conference would build on previous efforts by African heads of government to develop comprehensive and coherent strategies that address the blue economy, such as the African Integrated Maritime Strategy 2050 (AIMS 2050); African Maritime Transport Charter; 2016 African Charter on Maritime Safety, Security and Development (Lome Charter); and “Agenda 2063”, which Nigeria has signed on to. Peterside further stated that it was high time Africans took advantage of the continent’s enormous maritime potential to develop their countries, explaining that climes without as much opportunities are making worthy use of the ocean economy and increasing the prosperity of their people. Dakuku delivered a statement of commitment on behalf of the association where he detailed the objectives of AAMA, the coordinating body for 38 African Maritime Administrations, to include improvement of the capacities of African maritime administrations, enhancement of member-states’ compliance with international maritime treaties, and coordination of programmes aimed at synchronising the ocean economy with other economic sectors. He said: “All these objectives assigned to us by AFrica Maritime Transport Charter put AAMA in a unique position to fully mobilise players in the maritime domain for optimisation of the potentials of Africa’s Blue Economy. “The Blue Economy concept is perhaps the greatest sectoral shift that has capacity to unleash the growth potential of our Continent. It is thus imperative that our approach to tapping the potentials of this new sector is coordinated and accelerated. 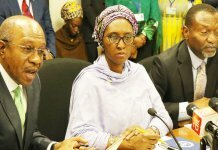 “Finally, as a continental body, the Association of African Maritime Administrations (AAMA) is committed to working with African Union (AU) Commission and other institutions to deepen the attainment of the Blue Economy goals for the economic prosperity of our nations and the continent,” he stated.